Matarozzi Pelsinger Builders is committed to servicing our community. We are always looking for new opportunities to get involved. Please visit our Community Projects page to see more non-profit projects we have been involved in. Women across the country are working hard to make ends meet, often in unsafe homes and communities. More than one in seven women and more than one in five children live in poverty. More than half of those children live in families headed by women. 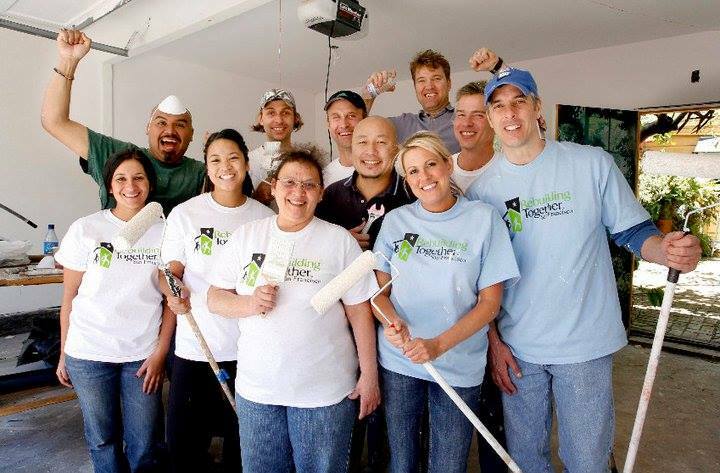 In 2015, 66% of the homes repaired served by Rebuilding Together San Francisco were headed by women. Together we can increase the health and safety of these women's homes, and empower women to become change-makers in their communities. On 4/29/17 we will be sponsoring the first ever women-lead SHEBUILDS community project. Our very own general manager, Jenny Rios, will act as a team leader to bring dozens of women together from across the construction industry to manage, facilitate, and implement three projects in San Francisco that directly impact the health and safety of women in their homes and community spaces. We have partnered with the Homeless Prenatal Program in a way that is meaningful to their program by directly improving the facility for their users. We have sponsored a brand new staircase which leads from the first floor to the garden below, as well as installing a new window-door system. Want to collaborate on a community service project with us? Let us know!